Those two terms say it all, summarizing one of the greatest football games in history, and the storybook ending of this year’s NFL season. For those who are somehow unaware, 41-33 was the final score in the Philadelphia Eagles’ win over the New England Patriots in Super Bowl 52, which took place last Sunday. The Eagles capped off a magical run, overcoming the odds behind backup quarterback Nick Foles after starting quarterback Carson Wentz was injured for the season. 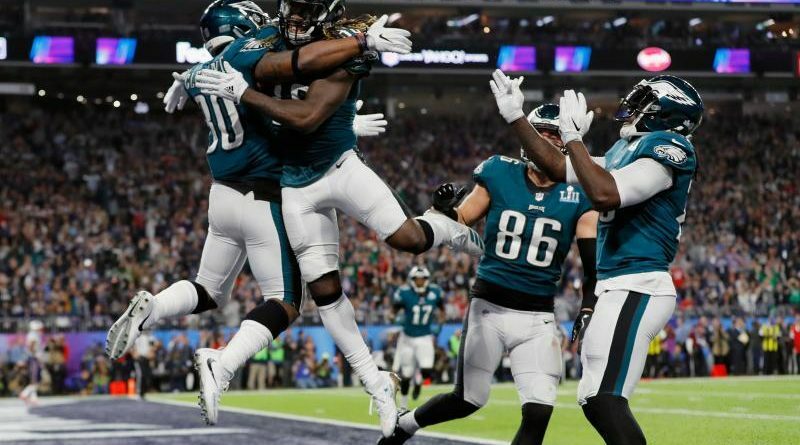 Rather than copying every other sports site by describing the game play-by-play, though, here’s the Super Bowl summarized through a few key numbers. The Vegas odds for the Super Bowl, favoring the Patriots. In simpler terms, bettors were confident enough in New England that wagers for them weren’t just for winning, but that they would win by at least 5.5 points. Coincidentally enough, Super Bowl 50 also had a 5.5 point favorite, the Carolina Panthers, who also lost their championship game. The number of people that watched the Super Bowl on television. Though still massive and eclipsing all other programming, it was a sizable drop off from recent years, and was the lowest viewing total since 2009. The rankings of both the Patriots and Eagles in their respective conferences. Each compiling a 13-3 regular season record, New England and Philadelphia enjoyed home field advantage against their playoff opponents until the Super Bowl. For the Minnesota Vikings, their stadium being chosen to host the game turned into a cruel twist of fate, as after Philadelphia eliminated them, they had to watch the Eagles play for the title on their own turf. The number of missed kick attempts in the first half of the game. After a long touchdown catch from Alshon Jeffery, kicker Jake Elliott whiffed on a point-after-touchdown kick, going wide to the right side of the goalpost to keep the lead at 9-3 Philadelphia. When the Patriots marched down the field to answer, though, Stephen Gostkowski repaid Elliot the favor. Successful on every field goal he had tried from 20-29 yards since 2011, he unfortunately broke his streak in the biggest game of the year, when a botched snap forced him to kick the ball way off course. Later in the second quarter, he missed again, on a point-after-touchdown kick following a score by New England running back James White. With three misses and only four makes, it was an ugly half for both kickers. The number of punts in the Super Bowl. Used frequently to give defenses a better chance to hold off the opposition’s offense (by kicking the ball into an opponent’s territory), the tactic appeared to be shunned during the Super Bowl. Both New England and Philadelphia took a far more aggressive approach to the game, either trying to score a field goal or running a play on fourth down – anything, it seemed, to avoid a punt. As a result of the opportunistic, brazen play-calling from both sides, this was the number of total yards gained by both teams. Shattering the previous record of 929 set in Super Bowl 22, both teams had already broken the record by the third quarter, as the Patriots had gained 495 yards, while the Eagles had 467 of their own. By the time the clock ran out, New England had racked up 613 total yards, while Philadelphia had 538 total yards. Of course, this recklessness also came at a cost – 36 incomplete passes between both teams, and 4 missed two-point conversions between both teams, Philadelphia being responsible for 3 of them. The number of trick plays run featuring a team’s quarterback as the intended receiver. In a comparison that was featured prominently for the rest of the night, and perhaps for a long time to come, both Nick Foles and Tom Brady were the targets for a pass attempt during the game. For Brady, this came on a third-down play, where he slipped to the side after handing the ball off twice, getting wide open for a catch. Even with no defender around him, though, Brady couldn’t manage to hang on to the ball, as it bounced off his fingers and out of bounds to force a fourth down where New England turned the ball over. Later, near halftime, perhaps to send a message to the Patriots, the Eagles ran a very similar play, where Nick Foles rolled to the outside, to an open spot in the end zone. Trey Burton, a tight end who had gotten the ball off a handoff, pitched the ball to an open Foles. Instead of dropping it like his Patriot counterpart, Foles held on to the ball, giving the Eagles a 22-12 lead and becoming the first player to both throw and catch for a touchdown. The time left in the game when Eagles defender Brandon Graham knocked the ball away from Brady’s hand as he was ready to throw, forcing a fumble that Philadelphia would recover. With one timeout, just over two minutes and the championship pedigree of Brady and New England’s coach Bill Belichick, the threat of a New England comeback was very real – especially a year after the Patriots had clawed back from a 28-3 deficit. But the mistake would allow the Eagles to swell their lead to 8 points, cutting the clock down to one minute and effectively sealing the game away. The number of losses the Patriots have had in the Super Bowl, tying the record set by the Denver Broncos, and eclipsing the 4 Super Bowl losses suffered by the Minnesota Vikings and Buffalo Bills. There’s no need to feel bad for Denver or New England, though – with three and five Super Bowl titles respectively, they’ve made up for their shortcomings with championship gold later on. Unfortunately, the same can’t be said for Minnesota or Buffalo, as both sport 0-4 records in the Big Game. 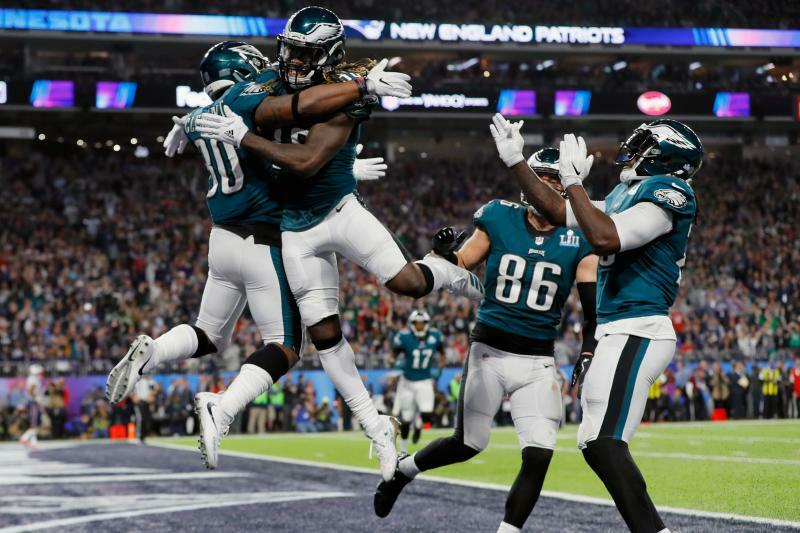 With the loss, the Patriots have come up empty in exactly half of their Super Bowls – falling short against the Chicago Bears (Super Bowl 20), Green Bay Packers (Super Bowl 31), the New York Giants twice (42 and 46), and now the Eagles. If history and their current dominance is any indication, though, they’ll have plenty of opportunities to win the title again soon. And of course, to top it all off, the only number that truly matters – the number of Super Bowls that the Eagles can now proudly lay claim to. Though they had won three NFL championships in the mid-twentieth century, they were winless in Super Bowls since the modern incarnation of the league formed, losing in both 1980 and 2004. With the win, the Eagles can stamp their place in history forever, not just with the title they’ve held throughout the playoffs as “underdogs,” but the immortal one of world champions. Eagles quarterback Nick Foles – bouncing from prospect, to throwing sensation, to trade fodder, to being released, to Philadelphia’s starting quarterback through the playoffs. Now, he has a crown to bear for the rest of time – Super Bowl MVP.